Since 1992, the major New Japan show of the year has been held at the Tokyo Dome on January 4. It’s had many different names over the years, but since 2007 it’s been called Wrestle Kingdom, and it’s under that name that the annual megashow has become a cult sensation in America. 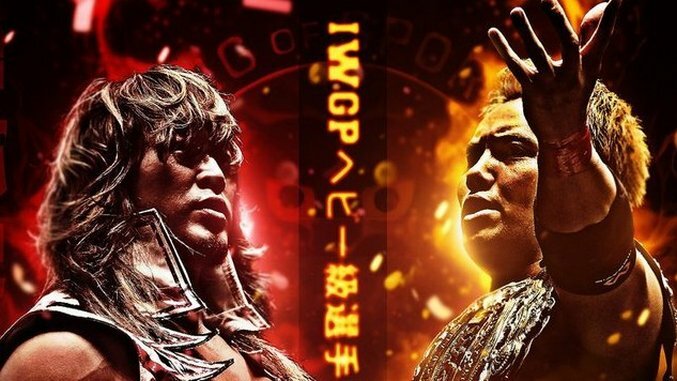 With Wrestle Kingdom 11 only two weeks away, New Japan is helping fans get ready by streaming all 25 January 4 Tokyo Dome shows for free on New Japan World. This is akin to WWE making every Wrestlemania freely available on the WWE Network: it’s one of the world’s two biggest promotions unlocking the entire history of its major annual event for all to enjoy, at least for a limited time. Whether you’re a diehard New Japan fan who hasn’t sprung for a New Japan World membership yet, or just starting to test the waters of Japanese wrestling, this is an invaluable one-stop overview of the last 25 years of New Japan. You can find the list of free shows here. If you comb through the entire archive, you can find matches from all of the major New Japan stars of that time period, from Antonio Inoki, Tatsumi Fujinami and Keiji Mutoh, to Shinsuke Nakamura, Kazuchika Okada and Tetsuya Naito. Many American legends also pop up throughout the show’s history, including many WCW regulars over the first several years; you can find matches involving Sting, the Steiners, Vader, Road Warrior Hawk and more. There are even appearances from Hulk Hogan, Randy Savage and Brock Lesnar, the latter of whom wrestles a young Nakamura in a match that doesn’t quite live up to expectations. And if you’re more of a modern fan, you can find some of the best recent matches from AJ Styles, Finn “Prince Devitt” Balor, Hiroshi Tanahashi, Kenny Omega, the Young Bucks and more. This is a wealth of history and fantastic wrestling, and for a short time it’s completely free.